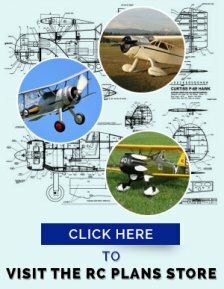 Are you looking for RC airplane plans of a good looking, different and colorful warbird? Easy building and flying. 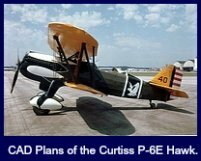 Curtiss hawks started out in 1925 with the P-1.There were 8 different P-6 models produced, but the P-6E remains the most famous. Initially known as the Y1P-22, the U.S. Army Air Corps renamed it P-6E. 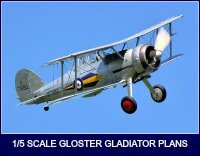 Curtiss delivered a total of 46 P-6E Hawks, the last biplane fighter built in quantity for the Air Corps. 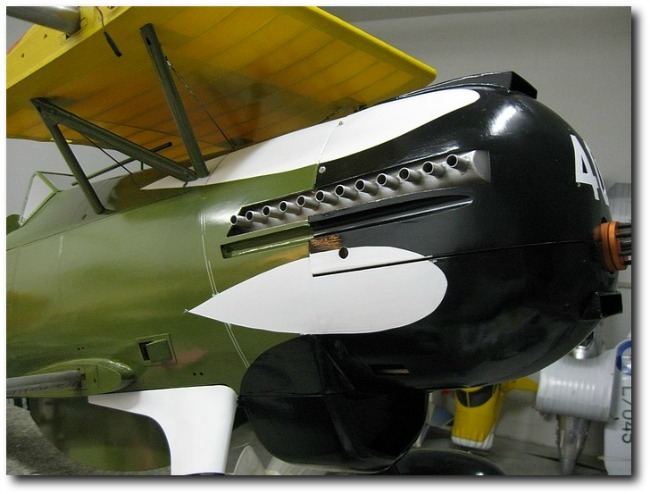 The only original P-6E still in existence, as shown in the photo above, is in the colors of the airplane flown by Capt. 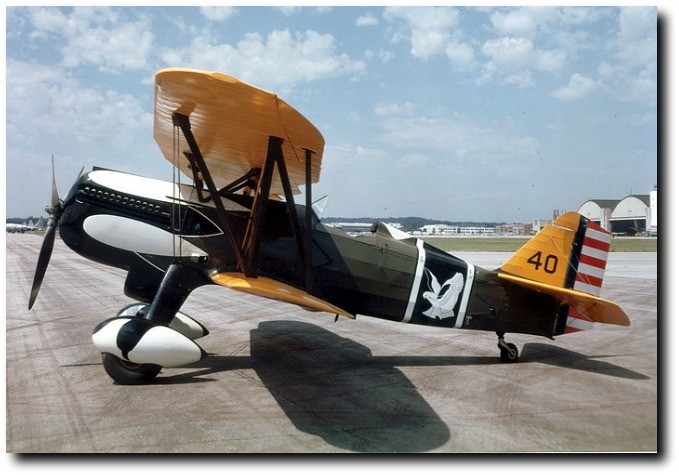 Ross G. Hoyt, Commanding Officer of the 17th Pursuit Squadron, Ist Pursuit Group, based at Selfridge Field, Michigan in 1933.The aircraft was donated by Edward S. Perkins of Anniston, Ala., to the National Museum of the USAF. The Department of Aviation Technology at Purdue University restored it in 1963. 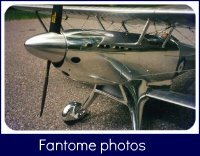 It certainly is a BIG biplane! 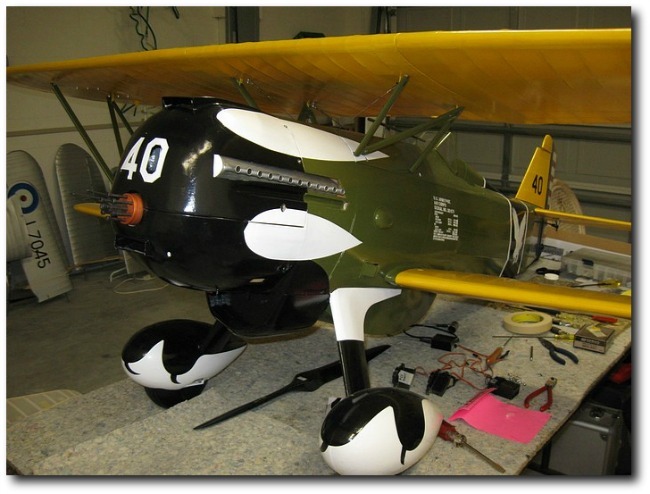 At 1/4 scale the wing span is 94.5" and the finished weight should be 28 to 30 lbs. A 50 cc ZDZ RC gas engine was used in my model. The ZDZ 50cc.gasoline engine sits upright in the nose and features a scale, 24 exhaust stack muffler, built to order by Bisson Muffler. The RC airplane plans are CAD drawn and the outline is as accurate as I can make it. All the ribs are in scale position and the wings feature plug in tubes, so transportation is simplified. The Hawk has flown! 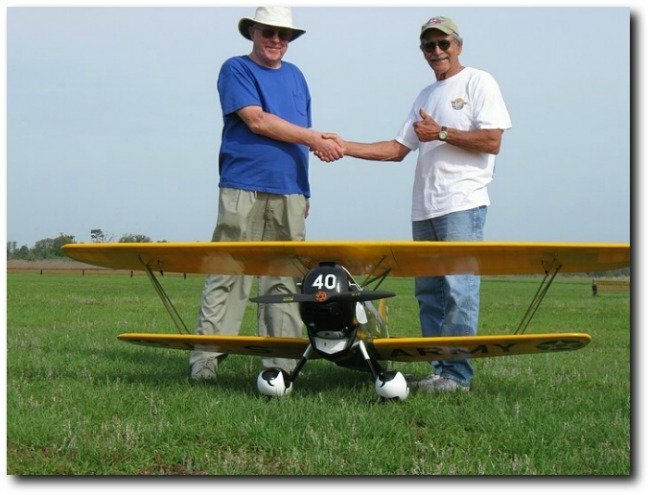 My flying buddy, Herb Chutter, flew the hawk at the Bay City Flyers field. The first flight was very good, with no major problems. Although Herb said his knees have only just stopped shaking! 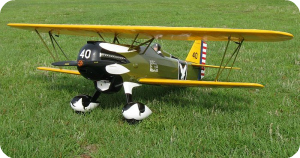 The balance point was OK and Herb has made a few changes to the wing incidence and engine thrust line. 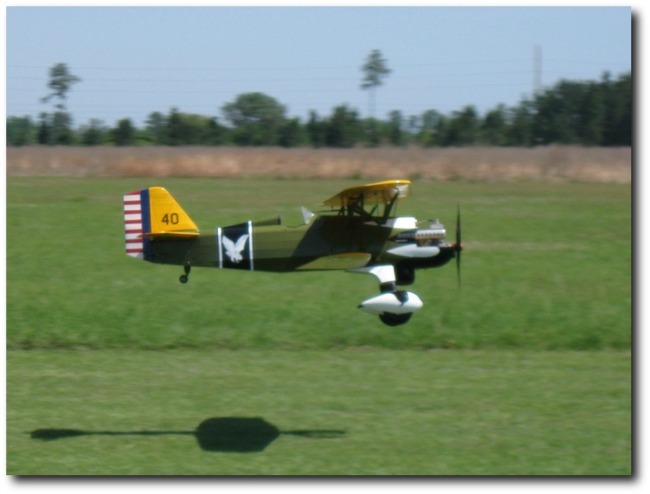 These changes have been incorporated into the RC airplane plans. It is with great sadness that we have to report that Herb has just passed away. He will be really missed by all his friends and flying buddies. Close-up of the cowl. You can see the scale exhaust stacks. In the workshop, getting ready for the first flight. 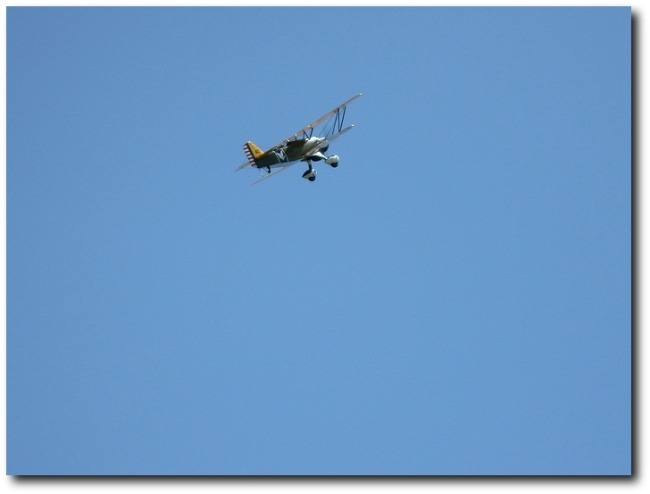 Herb is now the owner of the Curtiss Hawk and flies her on a regular basis. 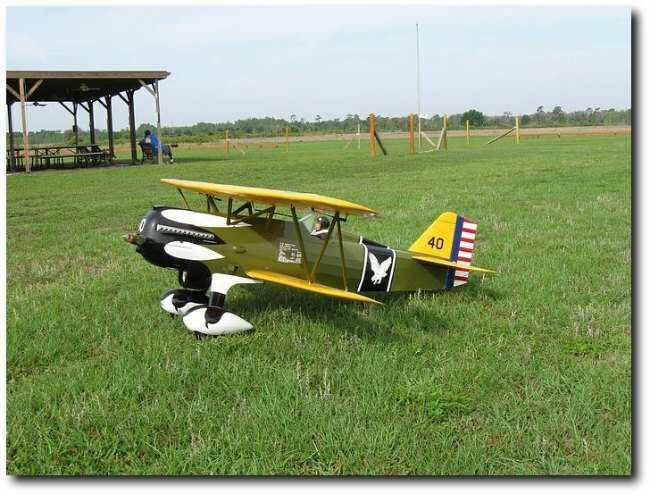 Herb and the Hawk recently won the Pilot's Choice Award at the Fighter Town Military Fly-in, organized by the Bay City Flyers. As for the RC airplane plans- I am up to 7 large sheets so far and still drawing. I have made a few changes to make the scale outline more accurate and simplified some structural details. 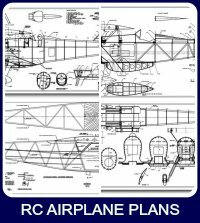 All parts are shown full size and some of the plan sheets are intended to be pasted direct to balsa and ply sheets. This should make it simpler for you to make your own kit or make it easier for a kit cutter to produce the parts. 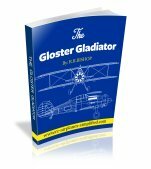 Shipping and handling of plans for orders within the United States APO- air mail rolled in a tube- $12.50 USD. Orders to Canada-Air mail and rolled in a tube- $20.00 USD. 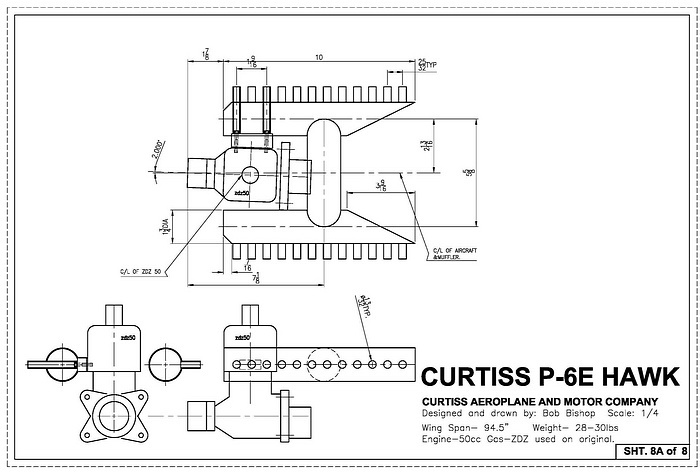 Price of 9 CAD drawn sheets of the 1/4 scale Curtiss P-6E Hawk - $55.00 US plus shipping cost. 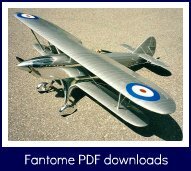 The RC airplane plans are now available in PDF format. 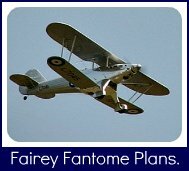 You can buy using PayPal and print the plans locally. 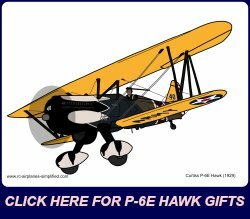 Price for the 9 sheets of the 1/4 scale P-6E Hawk, in PDF format, is $25.00USD e-mailed to you. Note that no hardware is supplied. 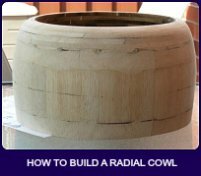 For more details of the Hawk, this page includes free PDF drawings of the special hardware and a drawing of the scale muffler. Click here or on the photo to visit the page. 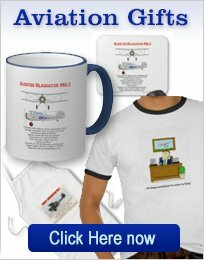 Coffee mugs, T shirts and lots more items are available with this unique, original artwork. Engine req'd: 50 cc Gas. RC servos req'd: 5-high torque. Bottom wing dihedral: 1.5 deg.